Available throughout the entire year, beetroot is one of the healthiest veggies you can consume and improve your overall health. It is a rich source of essential nutrients, vitamin A, B vitamins, vitamin C, copper, zinc, selenium, phosphorus, iron, potassium, manganese, fiber, magnesium, and calcium, as well as powerful antioxidants like carotenoids, betalain, flavonoids, phenolic acids, and anthocyanin. As well as thiamine, riboflavin, and zinc. Betalains – a kind of phytonutrients in beets has powerful anti-inflammatory, antioxidant and detoxification properties, and cleanses the liver of toxins. Compounds like glycine and methionine, in a combination with it, prevent the accumulation of fatty acids in the liver and boost liver health. Beetroot juice lowers both, your diastolic and systolic blood pressure. The nitrates in this veggie dilate and relax the blood vessels, boost blood flow, and lower blood pressure. The betanin in beets prevents the formation of cancerous tumors and reduces cancerous cell proliferation. 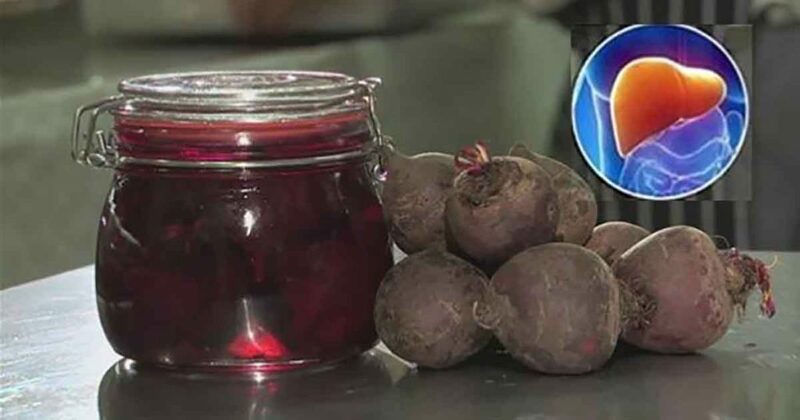 It prevents prostate, skin, lung and breast cancer, and the beetroot juice, if consumed in a combination with carrot extract, helps in the treatment of leukemia. The vitamin C in beets strengthens the immune system, ensures the healthy function of white blood cells that protect against foreign bodies, and enhances respiratory health. Beetroot is high in tryptophan, an amino acid that relaxes the body. Betaine supports the metabolism of the body chemical SAM-e, that is a natural anti-depressant. This veggie prevents dementia, improves the cognitive function, and improves the blood flow to your brain. Beetroot is rich in dietary fiber that stimulates the nerves in the intestines and helps digestion. The high dietary fiber content relieves constipation and treats digestive issues. The phytochemicals in beetroot balance hormones and stimulate the production of estrogen, and the high iron content prevents iron deficiency, treats fatigue, and reduces irritability. Beets are rich in magnesium, iron, and nitrites, so they improve muscle strength and endurance. Moreover, when converted into nitric oxide, nitrites reduce oxygen cost of low-intensity exercise and boost the stamina for high-intensity exercise. Beets contain an antioxidant known as alpha-lipoic acid which inhibits oxidative stress-induced changes, reduce glucose levels, and elevate insulin sensitivity. Beetroot contains a naturally-occurring salt called nitrate, which gets turned into nitric oxide in the body, and thus dilates and relaxes the blood vessels, boosting the blood flow. Moreover, betaine, which is an amino acid in beets, prevents the accumulation of homocysteine in the blood, and thus ensures a healthy circulation. This vegetable is high in folate, which is a crucial B vitamin for the skin. It stimulates re-pigmentation of white skin patches of vitiligo and prevents skin cancer. Also, the high vitamin C content evens out the skin tone and clears blemishes. “Beyond just the beetroots, beet greens offer a plethora of vitamins and minerals, too. They’re a great source of fiber — 17 percent of your daily requirements in just one cup — and also vitamin B6, magnesium, potassium, copper, manganese, and antioxidants. The incredible amount of vitamin K in beet greens contains blood-clotting properties, fights aging, supports your DNA, helps ward off osteoporosis, works with calcium to boost bone strength, and may also play a role in fighting Alzheimer’s disease.